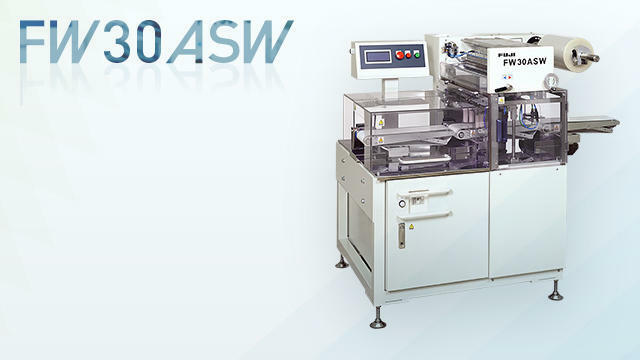 FW30ASW to wrap the cake | Other | FUJI MACHINERY CO.,LTD. Automates side film rolling of torte cut and sheet cut cakes. Uses the adhesiveness of the cut-face of the cake itself and wraps closely.